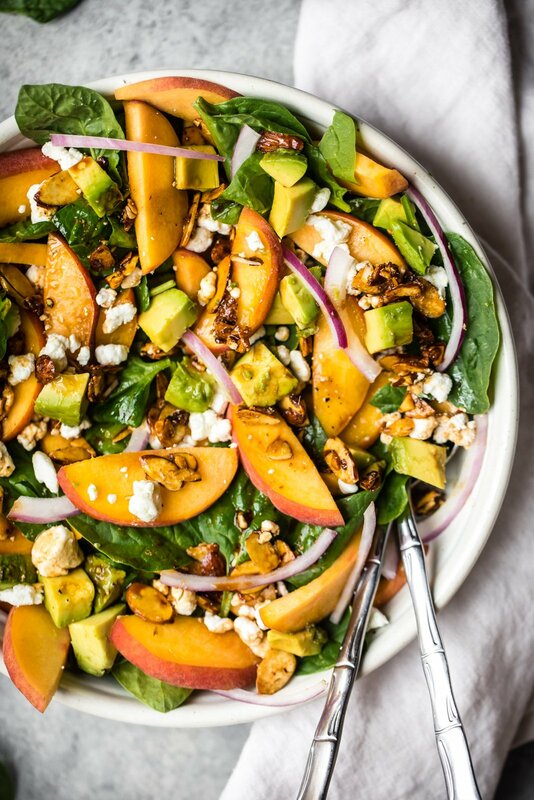 Fresh peach spinach salad with avocado, toasted almonds and goat cheese. 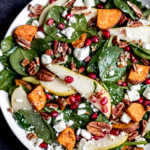 This simple healthy spinach salad is perfect for a grilling side during the summer! 3 DIY Honey Face Masks + video Ambitious Home is Here! 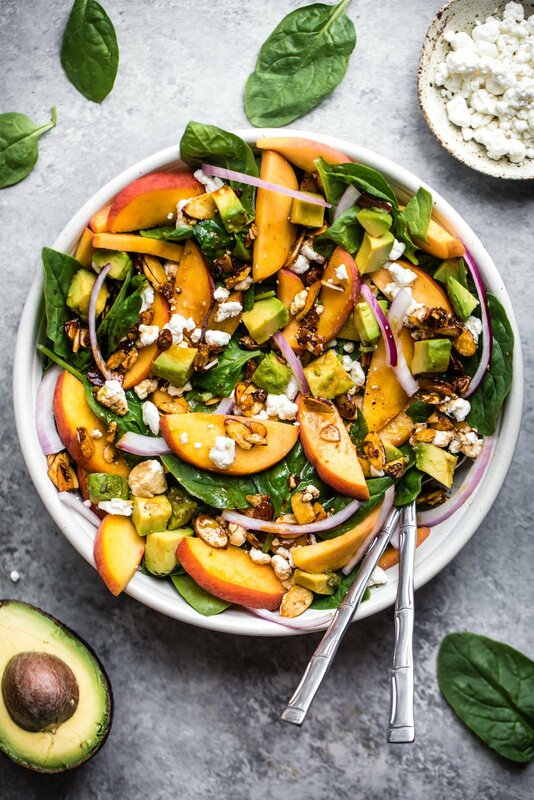 30 Responses to "Summer Peach Spinach Salad with Avocado, Toasted Almonds + Goat Cheese"
That looks great! I’m going to give it a try, minus the cheese. 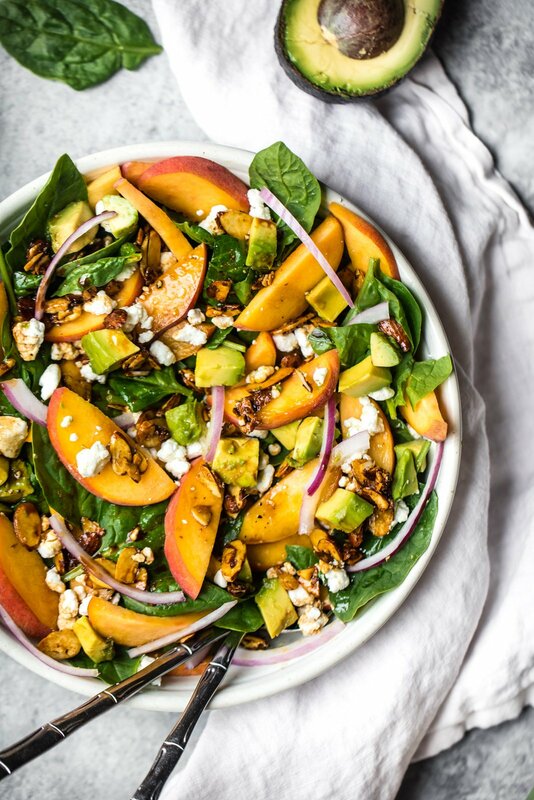 Peaches make for a great, sweet addition to summer salads! This looks so refreshing! Has anyone subbed the almonds for pistachios? For some reason that is calling my name. I wonder if it worked well? I think pistachios would be great in here! 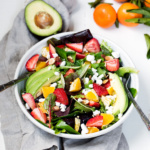 I just made a salad much like this one over the weekend using strawberries and it was SO GOOD. Next week I am going peach picking and I will have to try this one out! It looks great! This is my lunch box today! too funny! 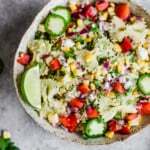 I prepared the exact same salad for today’s lunch in the office! 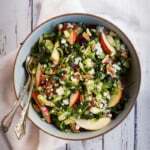 I love peaches on salads, they tasta amazing! No way! Great minds think alike 🙂 love peaches, too! 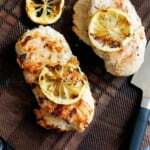 Try pairing with Chardonnay, Gruener Veltliner, and Sauvignon Blanc. 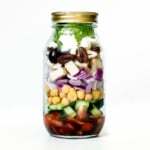 Sauvignon Blanc and Gruner Veltliner both have herby notes that complement salads with enough acid to match tart vinaigrettes, while a Chardonnay can be a good pick for creamy salad dressings. I made this today and it is delicious!!! Amazing!! Happy to hear that. I made this tonight and we loved it! And that was without the avocado. 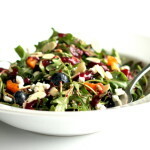 I love fruit in salads! Great idea!! Love it! Had it for lunch Thursday, Friday & today. Yum! Made this for dinner last night (and packaged extra for lunches). So good! Topped with a simple sous vide chicken breast and subbed pistachios for almonds. Will make again!! Peaches are fantastic now! I can’t wait to try this tomorrow!